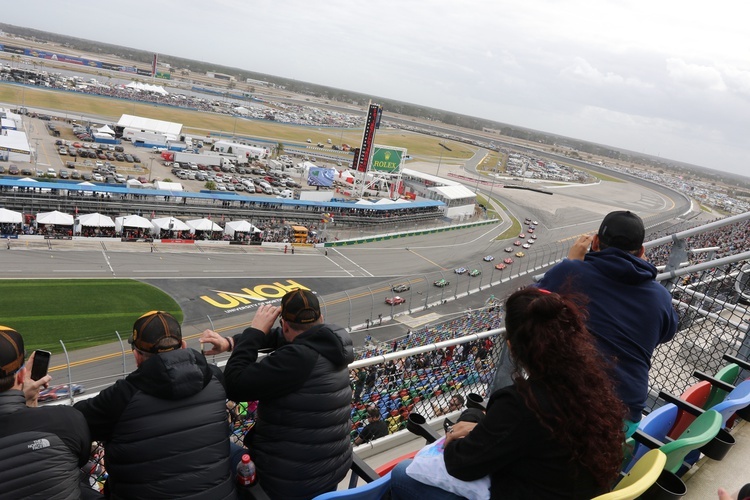 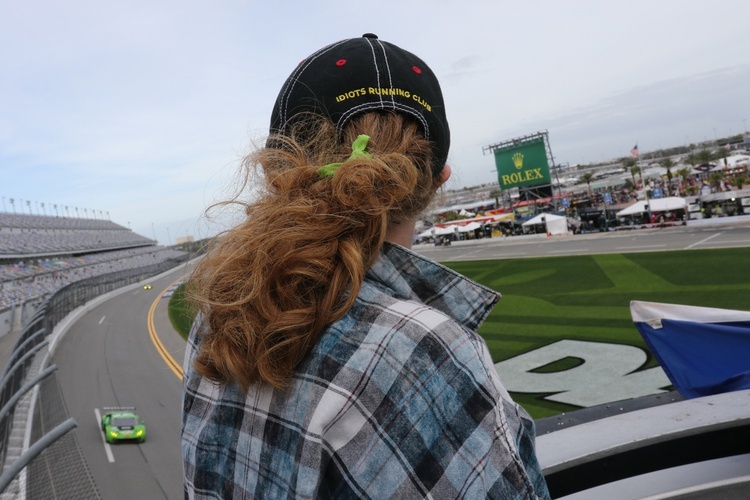 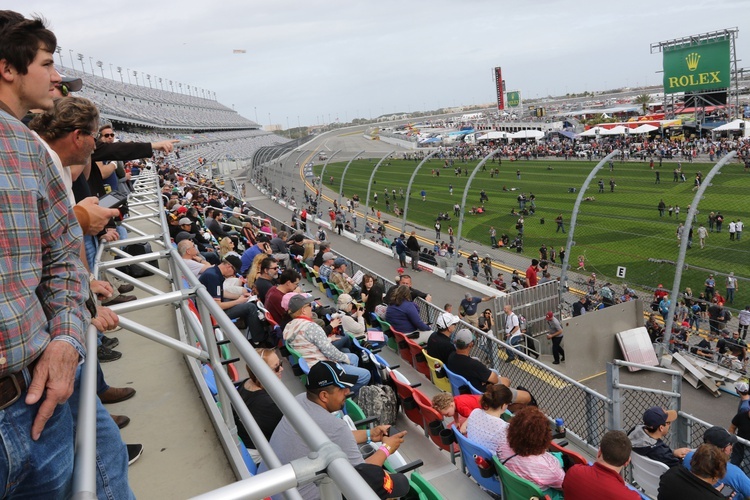 Few events can match the drama and prestige of Daytona’s 24-hour race around the high banks and twisting infield of this world-class facility—but how do you make sure you’re wringing every last bit of enjoyment out of the weekend? 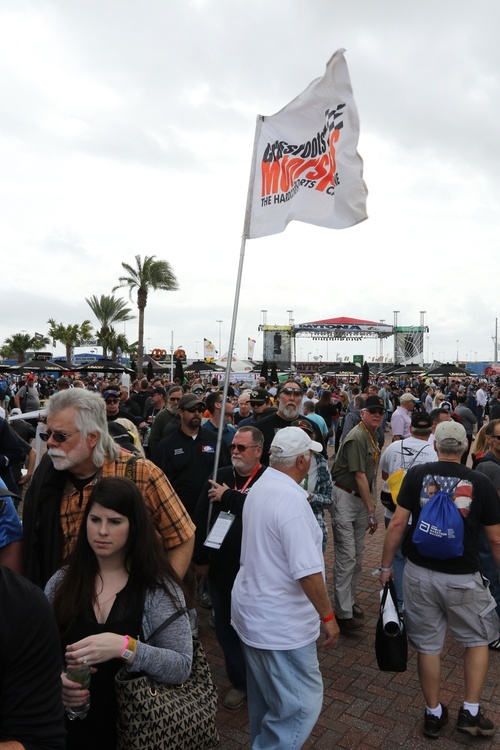 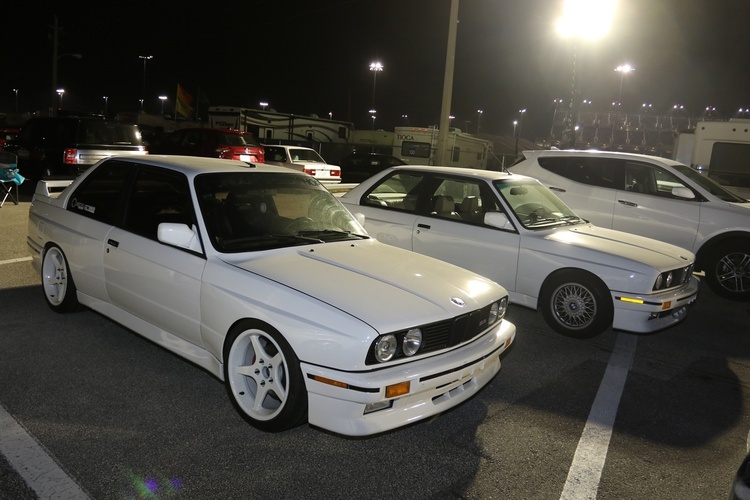 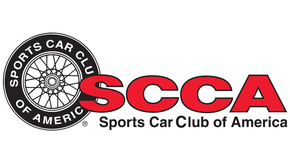 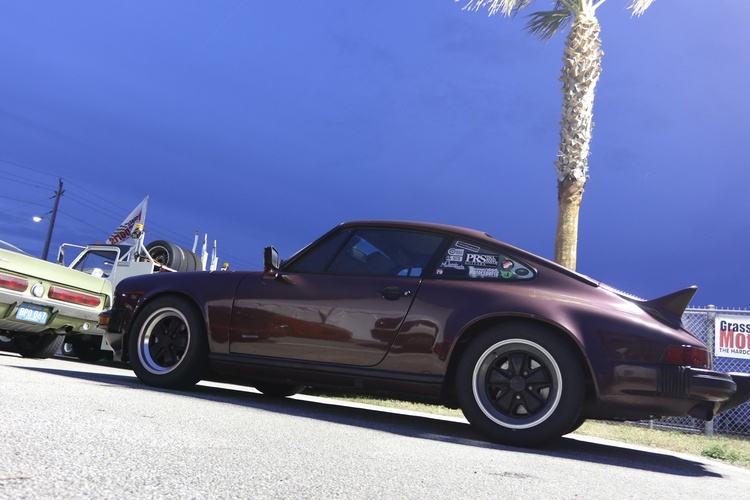 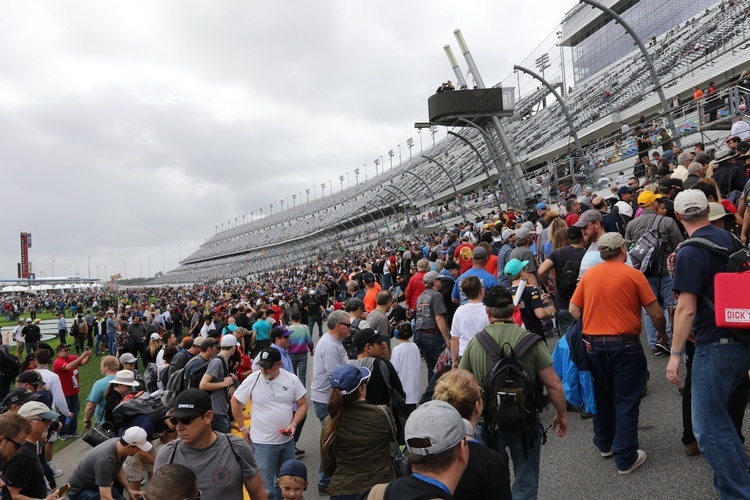 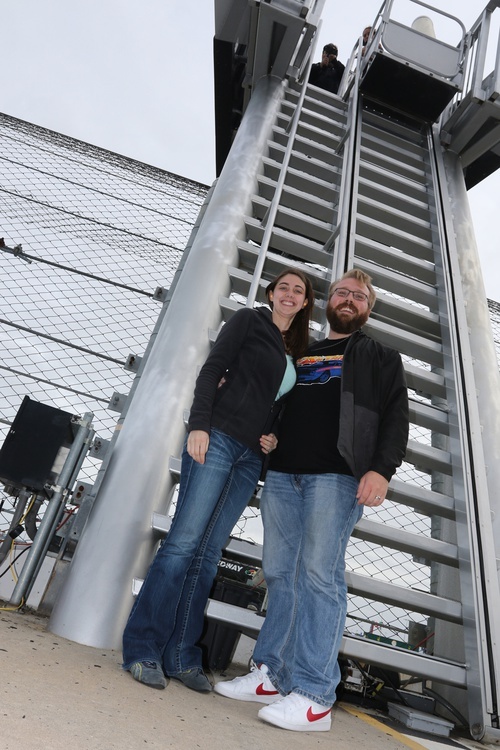 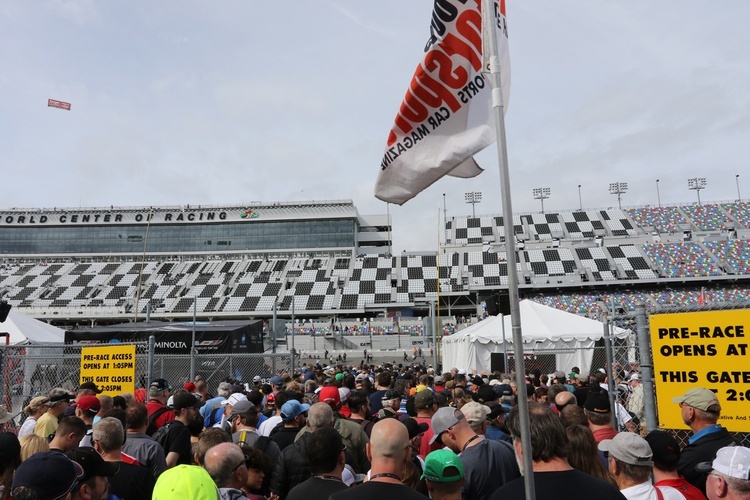 Simple: Join the Grassroots Motorsports Experience at the Rolex 24. 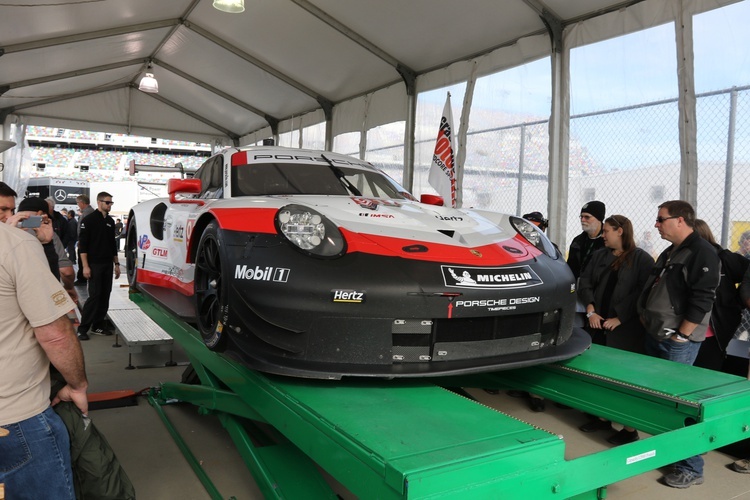 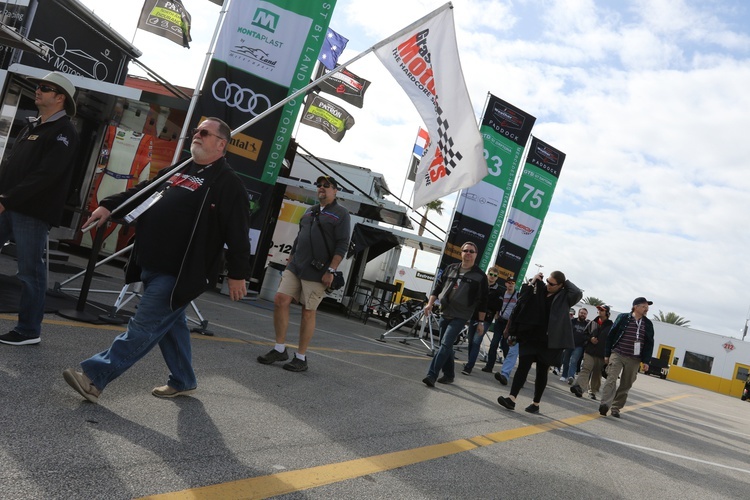 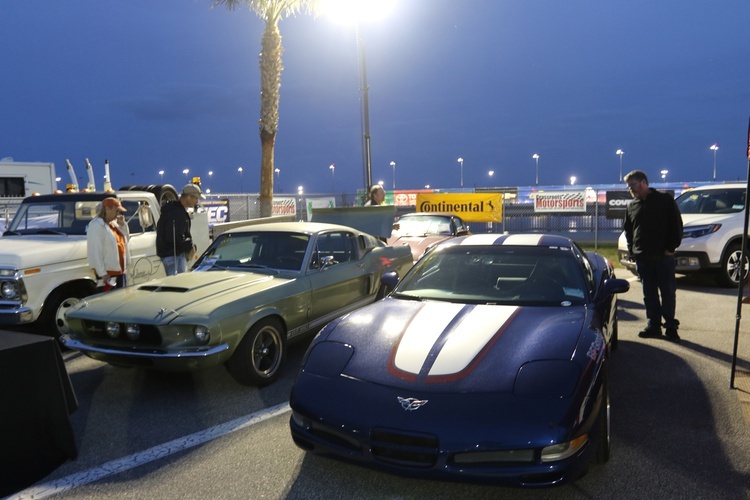 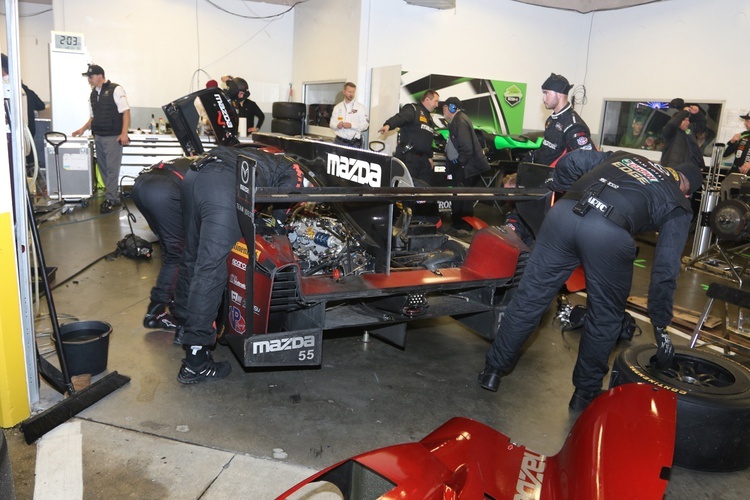 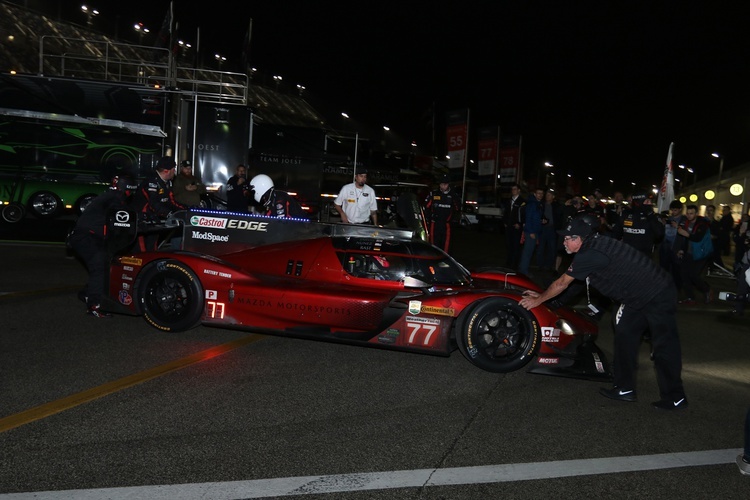 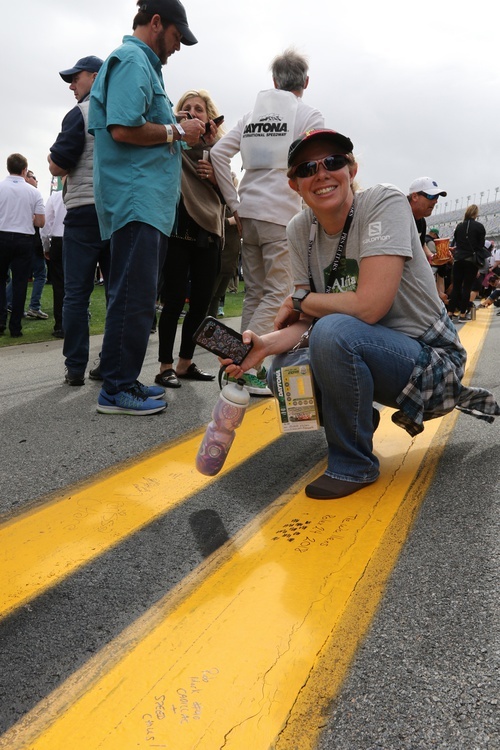 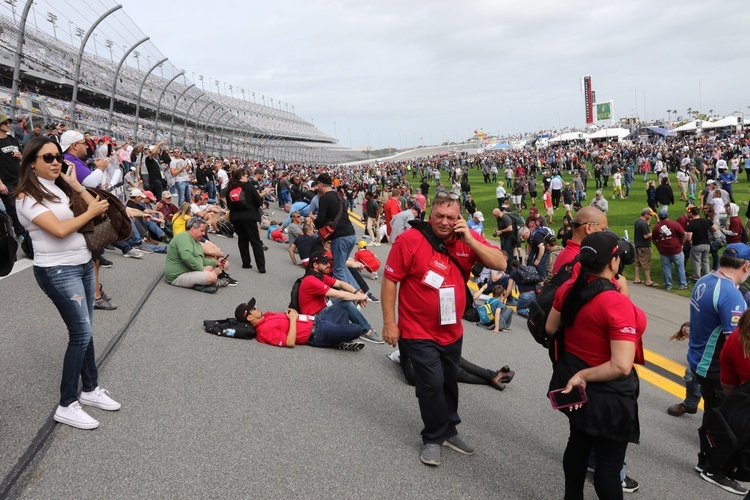 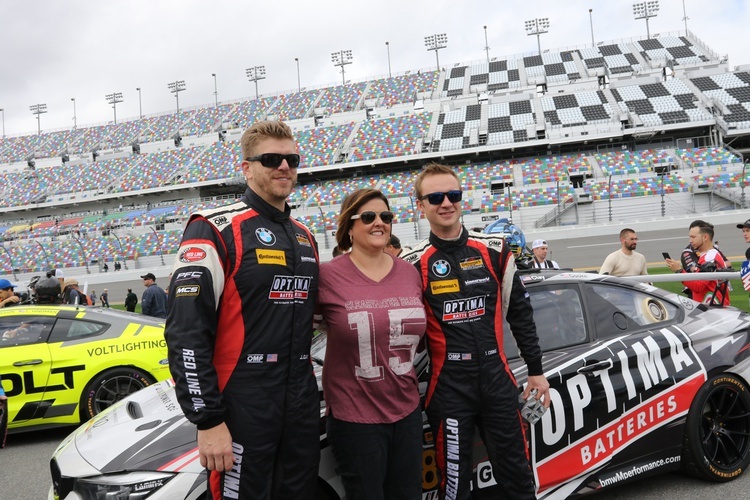 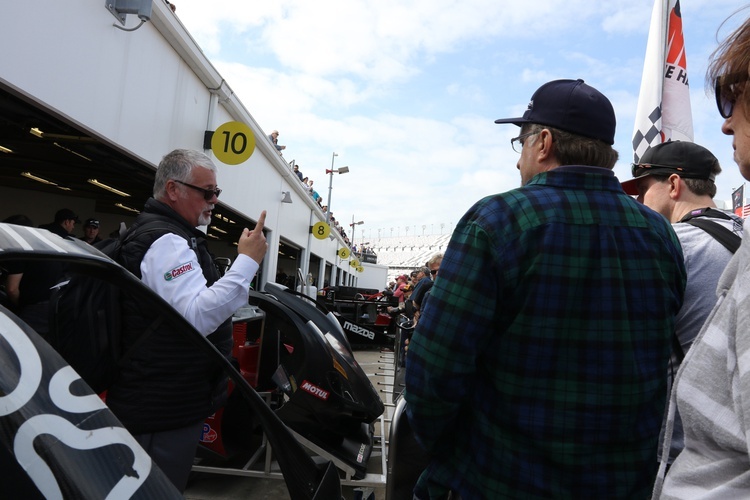 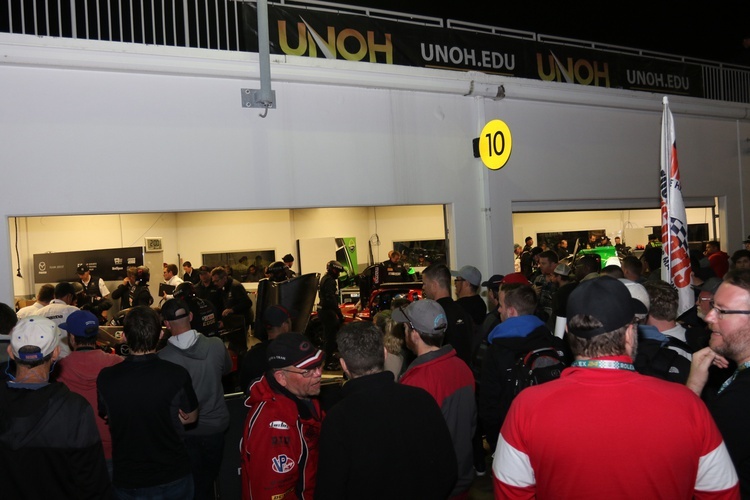 The 2018 Grassroots Motorsports Experience at the Rolex 24 At Daytona, which was presented by Mazda and Continental Tire, treated spectators to hospitality, car corrals and behind-the-scenes looks at the 24-hour race. 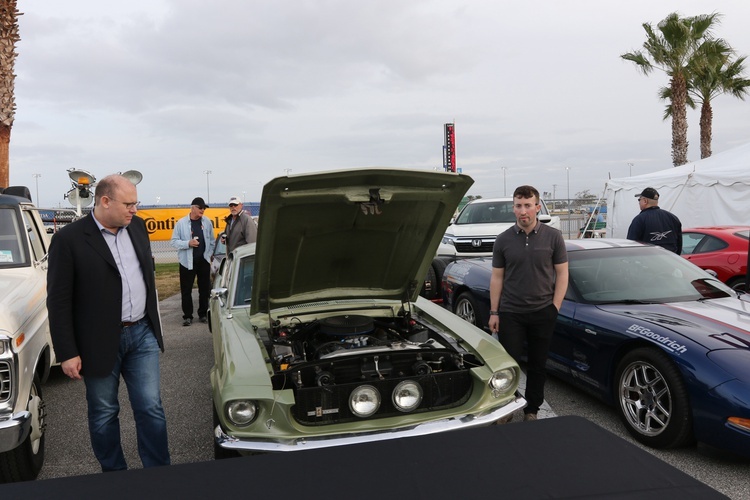 In addition, some lucky attendees enjoyed extra excitement thanks to golden tickets that were randomly awarded to those present at the GRM Experience. 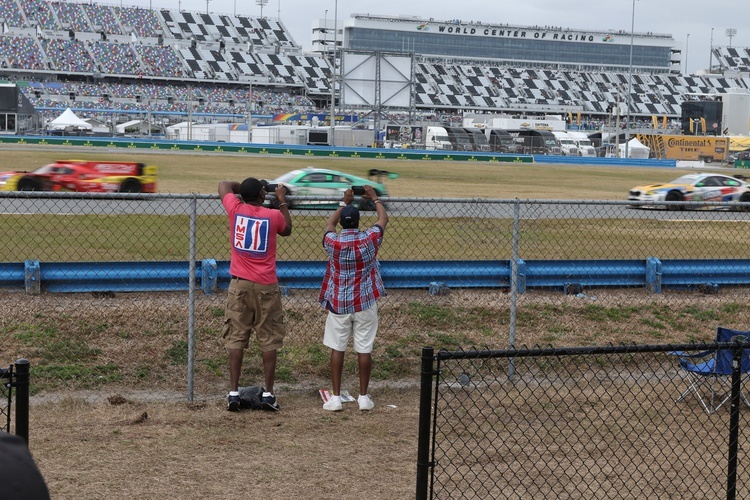 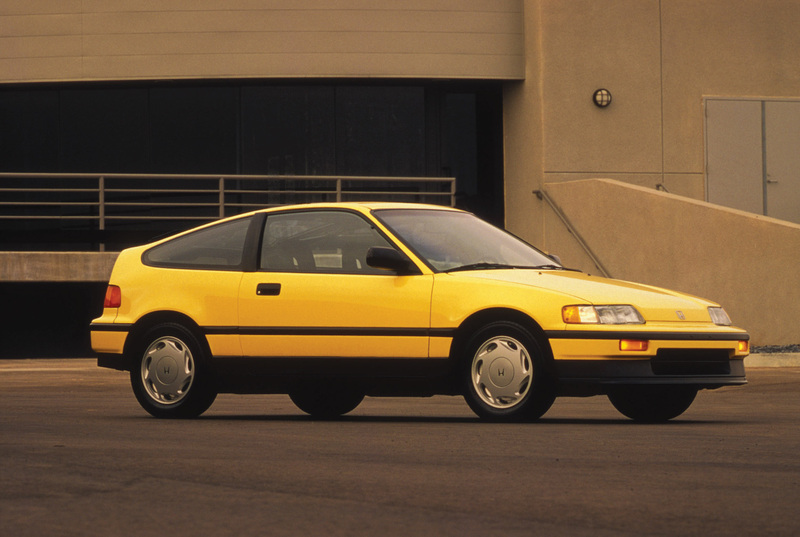 These were good for participation in hot pit tours, really fast rides around the track, victory lane experiences and visits to the starter stand. 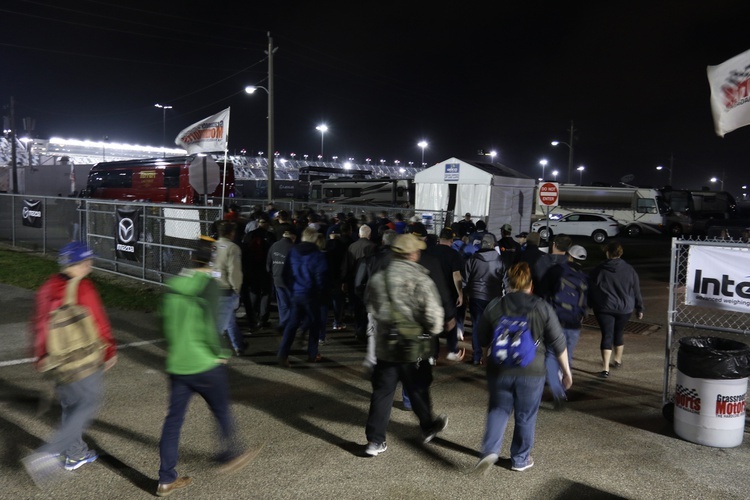 Our ever-popular paddock tours are open to all comers and were at capacity on Friday and during the big race at midnight. 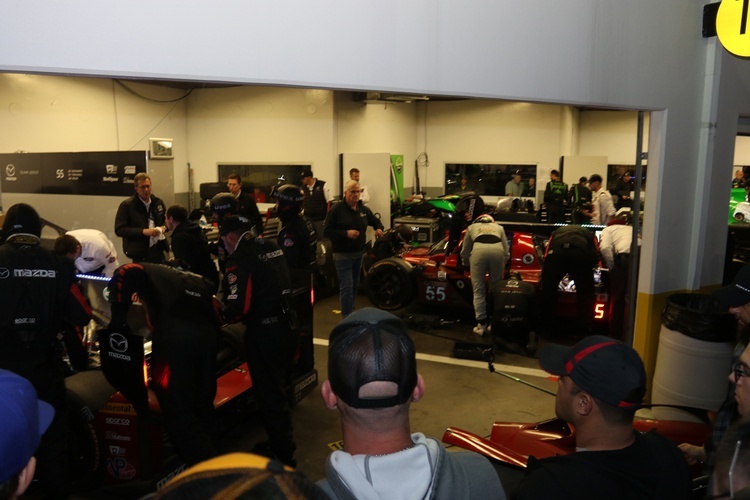 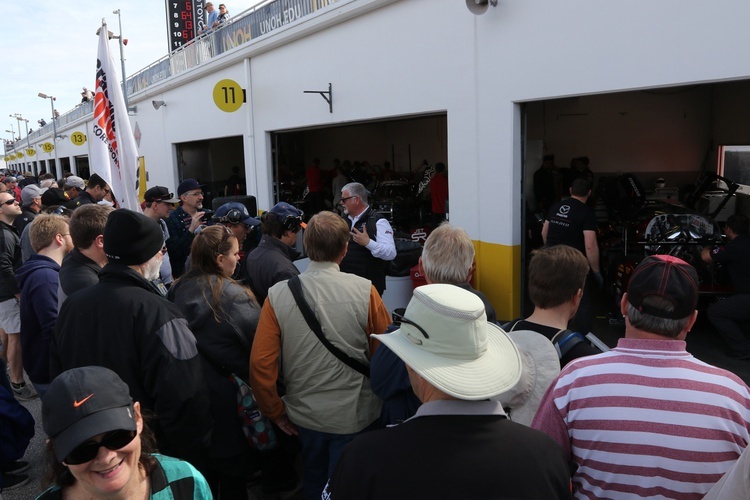 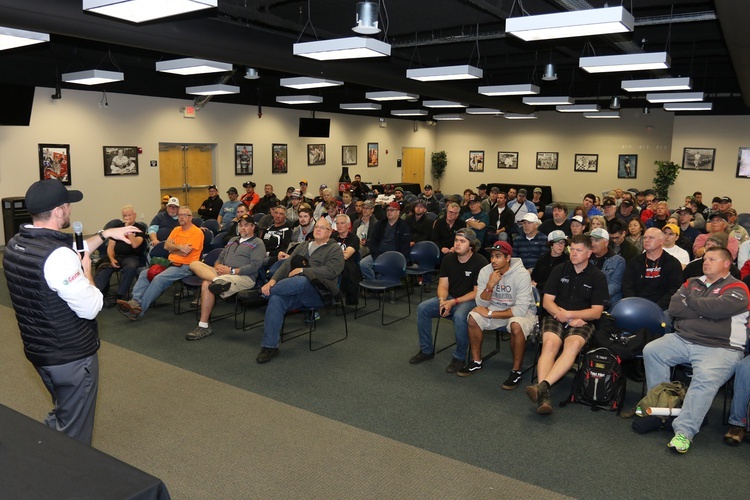 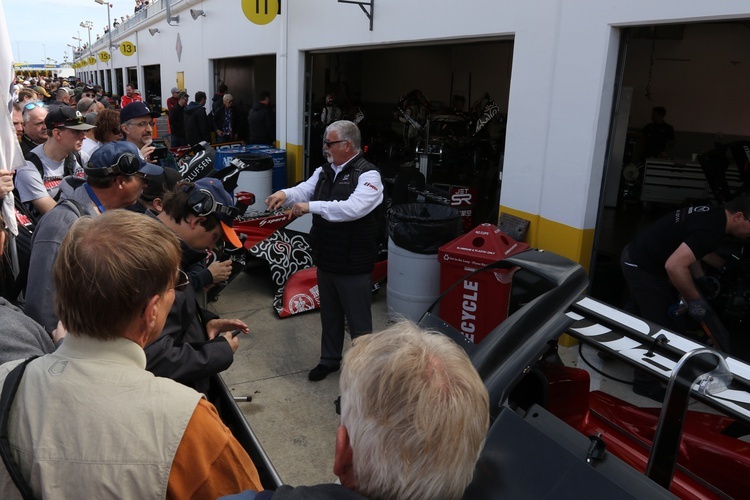 Fans were given an inside look at pro racing on these tours, and highlights included visits with Mazda Team Joest, Continental Tire, and more. 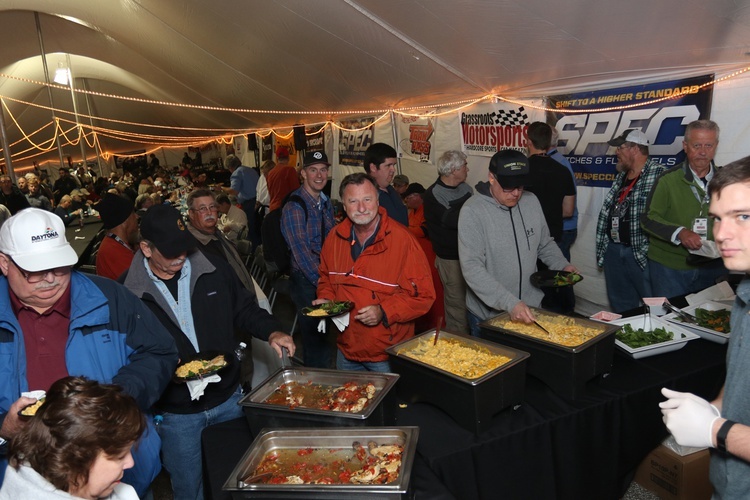 The Saturday-night dinner treated Experience ticket-holders to a tasty hot meal as cars howled by outside the tent. 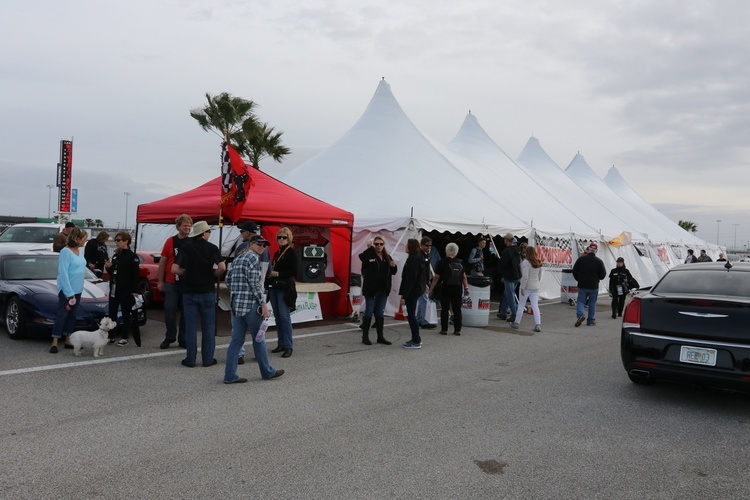 While attendees ate, event partners had a chance to speak to the crowd assembled. 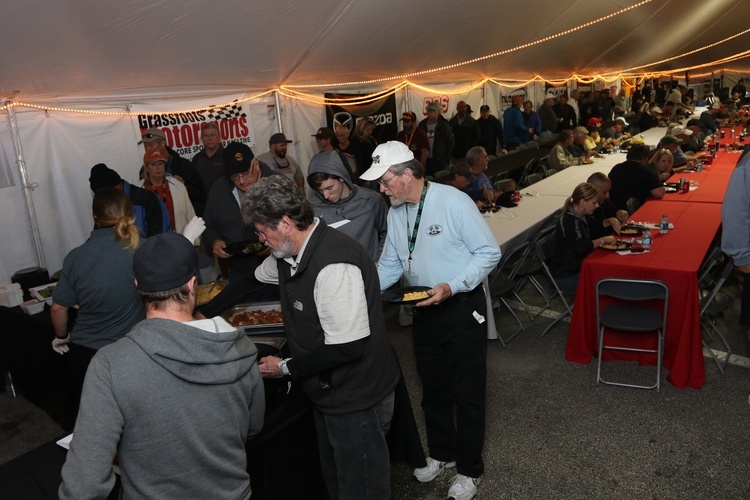 Grassroots Motorsports also hosted an informal dinner across the street from the track at Buffalo Wild Wings on Friday night. 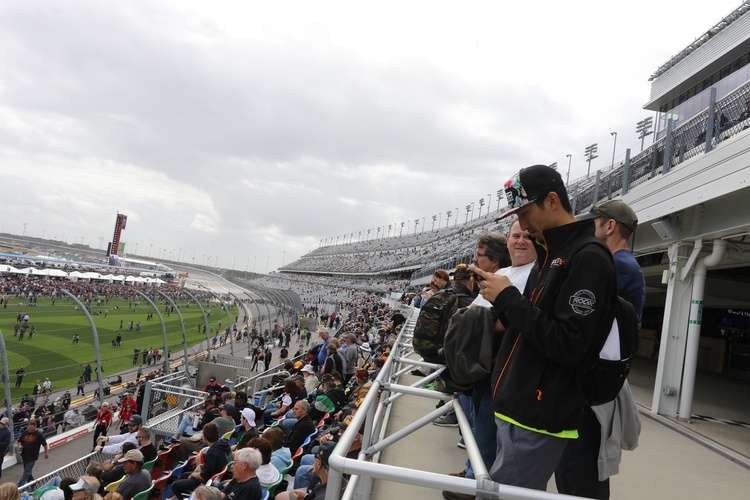 The attendance was so great that we spilled out of our reserved area and took up much of the restaurant. 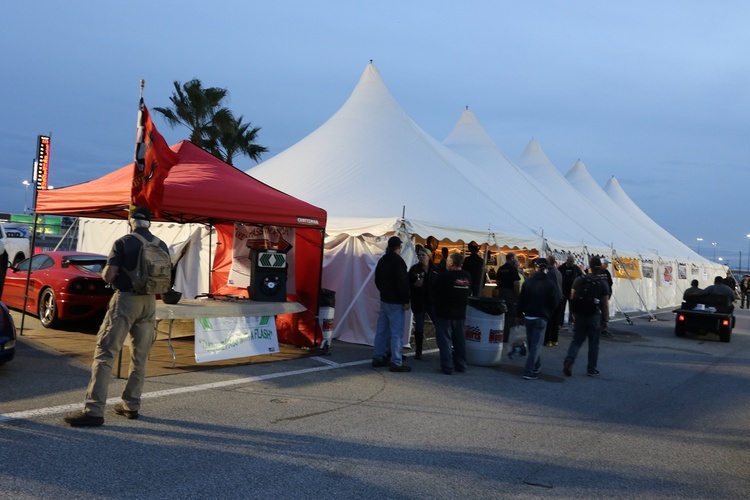 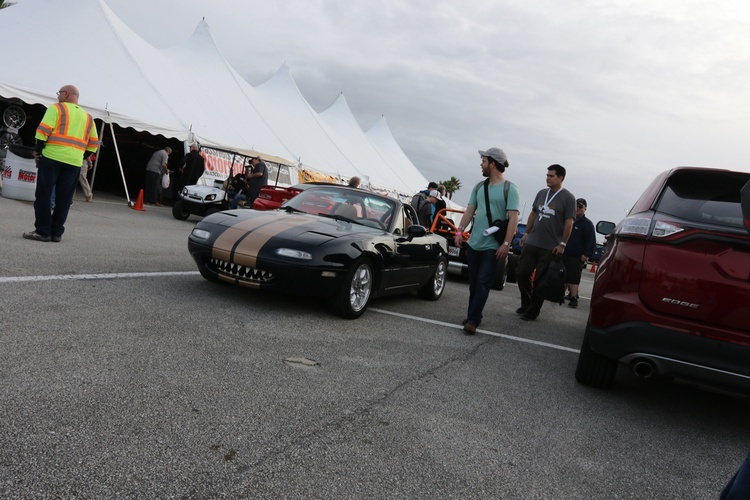 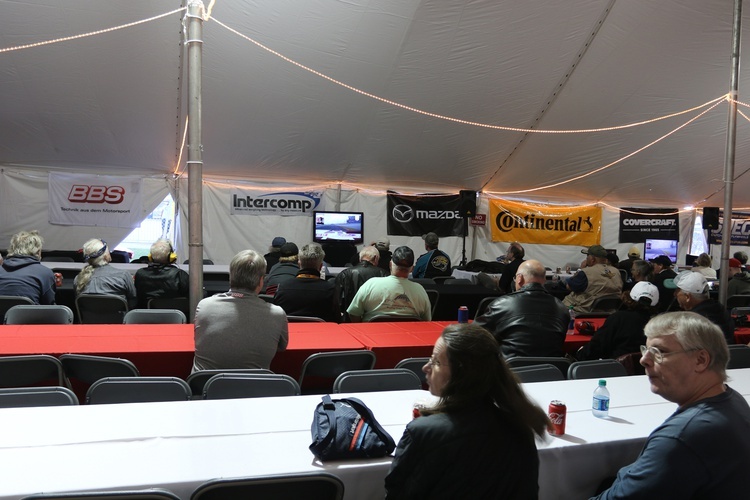 The Grassroots Motorsports Experience served as a great place for friends old and new to enjoy the comfort of our large tent and watch the race unfold on TVs streaming the event’s live feed. 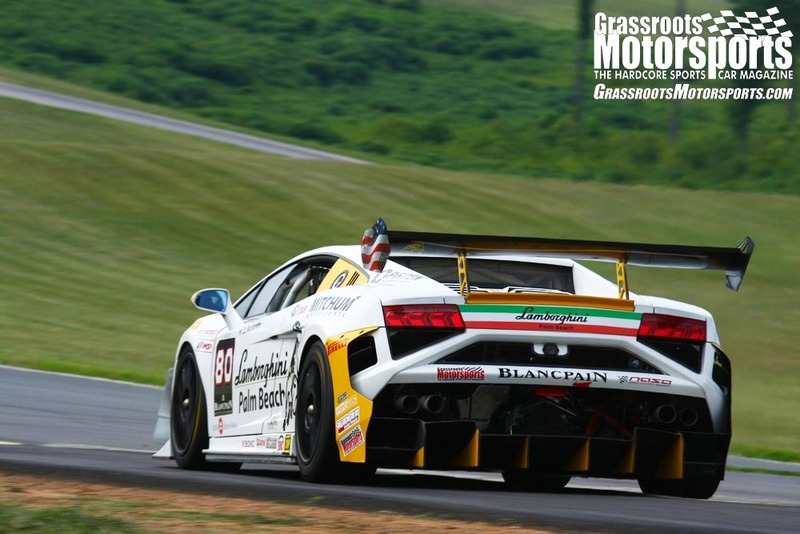 Also available: The Grassroots Motorsports Stadium Ticket Package. 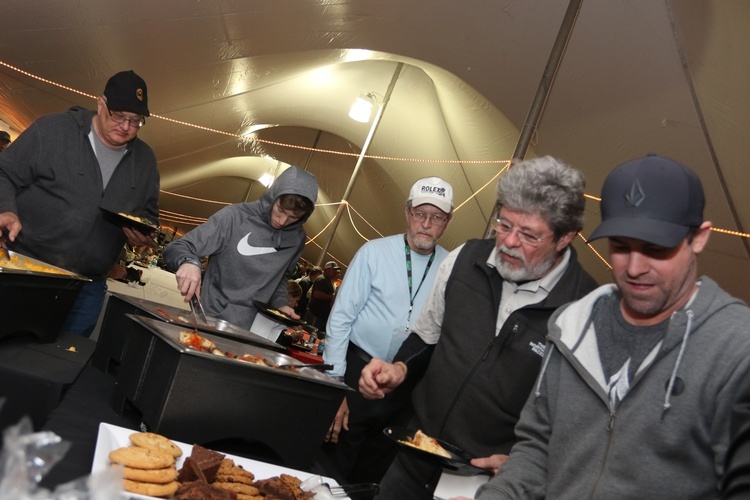 Though our main GRM Experience tickets sold out in minutes, the stadium tickets were available for much longer, and treated fans to hot breakfast on Sunday morning in their own private suite. 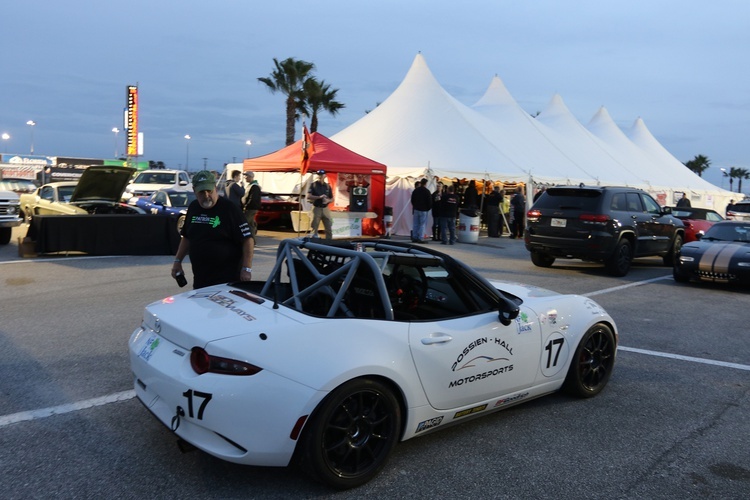 We’d like to thank Continental Tire, Mazda, Covercraft, Intercomp, Spec Clutch, BBS, TrakPassPro, Krispy Kreme and Perry’s Ocean Edge Resort for supporting the GRM Experience. 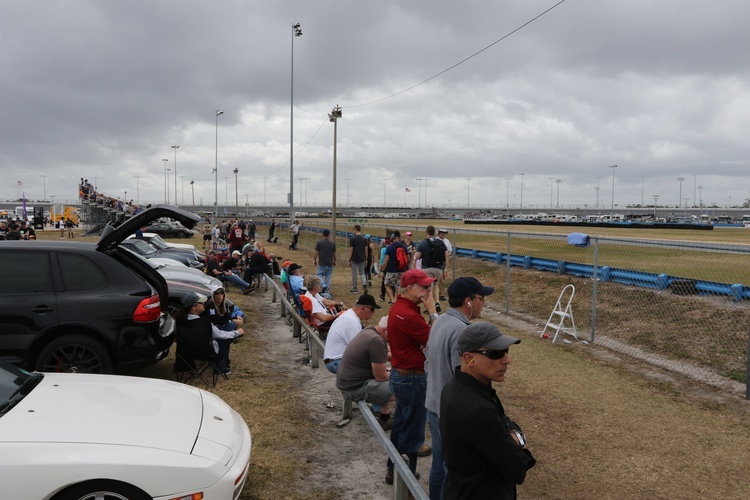 The Grassroots Motorsports Experience is held every year at Daytona International Speedway in Daytona Beach, Florida, during the Rolex 24 At Daytona. 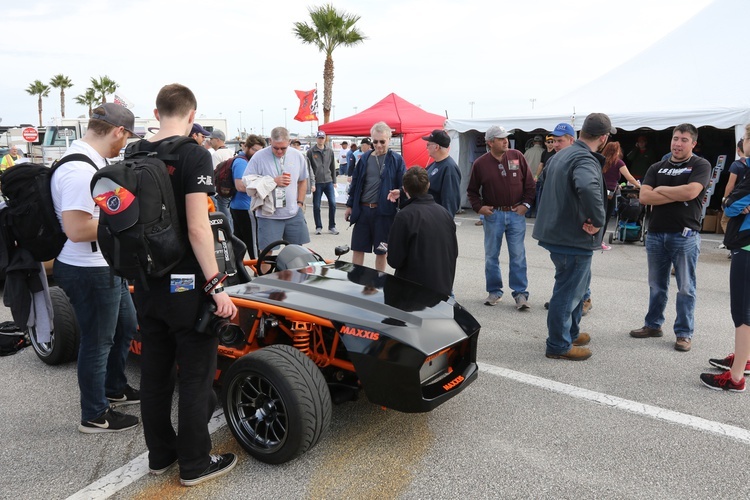 Tickets for the Grassroots Motorsports Experience sell out quickly, so if you’d like to be among the first to hear when the 2017 tickets go on sale, make sure to like us on Facebook and sign up for our email newsletters.